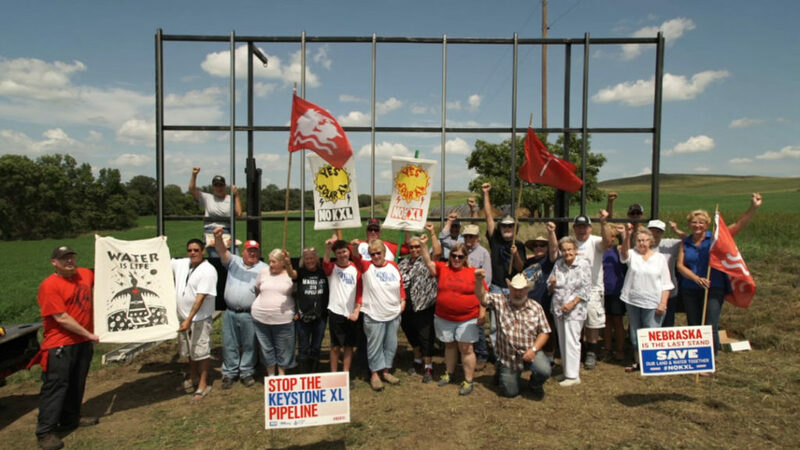 The coalition behind the Solar XL campaign includes the Indigenous Environmental Network, Native Organizers Alliance, Brave Heart Society, Dakota Rural Action, Bold Nebraska, and 350.org. The panels were installed by the family-owned rural solar business, North Star Solar Bears, run by Jim Knopik. Read the entire news release and additional quotations, and view photos of the first and second Solar XL projects here. A federal court in Montana has ruled that TransCanada must conduct an additional environmental review before it moves forward with the alternative route that has been approved for the controversial Keystone XL pipeline . . . Bold Alliance, an opponent that was among the plaintiffs in the case, welcomed the decision. “The court saw through the sham fast-track environmental review that TransCanada and the State Department were trying to shove past Nebraska landowners and Tribal Nations,” Mark Hefflinger of Bold Alliance said in a statement. 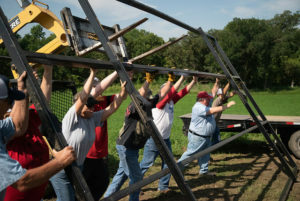 This entry was posted in Nebraska / Midwest News and tagged 350.org, Bold Nebraska, Brave Heart Society, Dakota Rural Action, Omaha World Herald, solar XL, Third Solar XL Installation on August 16, 2018 by Helen Deffenbacher.